Our team is what really makes our practice special. They’re friendly, approachable, and their ultimate dream is to make our office similar to “Cheers.” We don’t like working in a stuffy, sterile environment as much as you don’t like coming to one. Of course, just because they’re fun doesn’t mean they aren’t a truly dedicated team of professionals. They’ll be there during your entire visit with a warm smile to make sure you have everything you need before, during, and after your appointment. Brand new to our office in 2018, Jan brings two decades of experience to our team. Thus far, Jan has enjoyed bonding with our staff, and she really loves the patients. 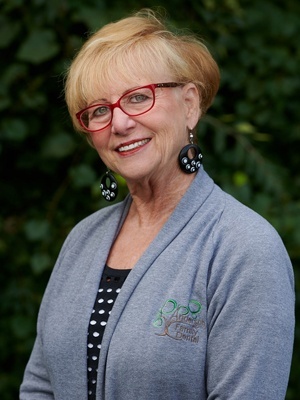 Jan is dedicated to patient education and providing exceptional service. Jan studied at The University of Tampa. A native of Colonia, New Jersey, Jan has two sons, three grandchildren, and two great grandchildren. Outside of work, she trains, breeds, and shows champion Afghan Hounds and Chinese Crested dogs. She enjoys spending time with family and friends and traveling. If she wasn’t helping us keep the office running, Jan would love to learn to play piano or teach high school. Abbey joined our team and the dental field in 2017. She is always eager to learn and happy to help. 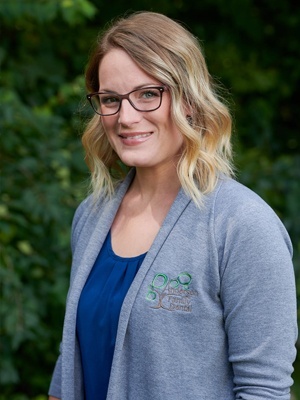 Her smiling face is likely the first you will see in our office, and she will make you feel right at home. Originally from Gahanna, Ohio, Abbey is married to her high school sweetheart, Stephen, and the couple are the parents to two sons, Gavin and Brady. The family also has a cat and two bunnies. When she’s not hard at work, Abbey enjoys spending time with family and friends, being outdoors, playing in the flower garden, crating and doing art projects, and watching the Cleveland Browns. If she wasn’t in the dental field, she would want to be a storm chaser like in the movie Twister. She loves severe weather and thunderstorms. 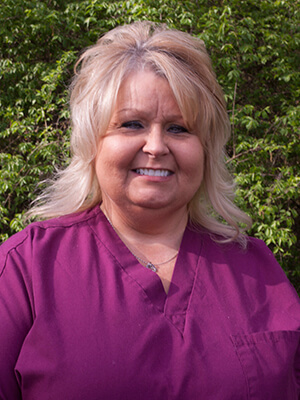 Cindy has been working in dentistry for 11 years so far, having spent the last four as a member of our team. Originally from Somerset, she attended the Eastland Career Center for Dental Assisting. She loves the variety of her job, as well as the wonderful patients. Cindy has two children and three grandchildren. Outside of the office, she loves trivia, quilting, and doing activities with family and friends. She would love to one day compete in a demolition derby! Jenna has worked in the dental field since 2012, and she joined us in 2017. 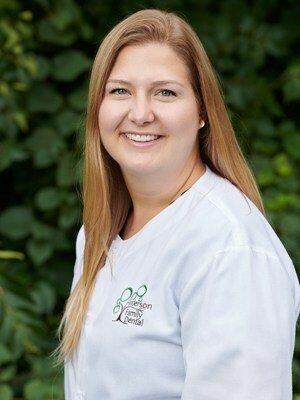 Jenna may be a registered dental hygienist, technically, but her patients consider her a “teeth cleaning extraordinaire.” She really loves helping patients leave the office with that sparkling clean look and feel. She is especially passionate about educating patients about the importance of flossing! Jenna studied dental hygiene at The Ohio State University, and she puts her training and skill to work helping our patients smile. Originally from Mansfield, Jenna loves spending time with her family and friends, especially her nephew. She enjoys a good cup of coffee and really wants to enjoy a good book along with it, but that never seems to happen. Jenna loves traveling, and she plans to visit Europe and South America next. If you need another reason to smile when you visit our office, ask Jenna to do her Australian accent! 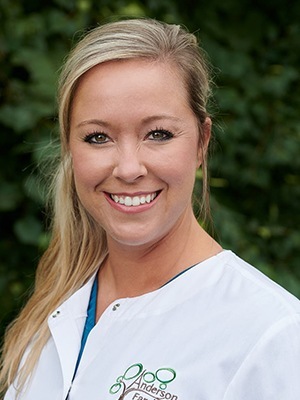 Courtney is from Jefferson, and she has been a member of our team for almost five years now, with 9 years of overall dental world experience. After attending Ohio State University, she completed the dental hygiene program at Columbus State Community College. She loves building relationships with her patients and watching families grow up over time! Courtney and her fiancé Thomas are getting married in late summer of 2017, and she also has an adopted Black Lab mix named Angus. Her hobbies include traveling, playing sand volleyball, doing CrossFit, and going to Buckeye and Cleveland Cavaliers games. Deb has been with us for most of her career, joining us in 2011. She is passionate about working as a part of the team to help patients feel confident in their smiles. Deb studied at Everest College, and she maintains certifications in CPR and x-rays. Deb grew up in Kalamazoo, Michigan. She is married to her best friend, and the couple are the proud parents of four children and grandparents to two wonderful grandkids. When she’s not busy at work or spending time with family and friends, Deb enjoys cooking, gardening, reading, hiking, biking, kayaking, and staying fit. She hopes to compete in a Tough Mudder one day! 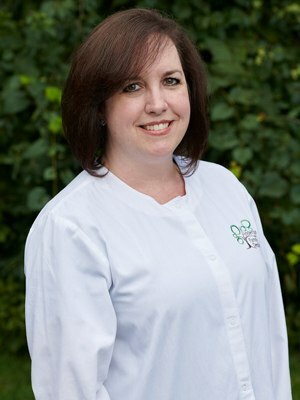 Lori is an experienced dental hygienist with more than two decades in the field. 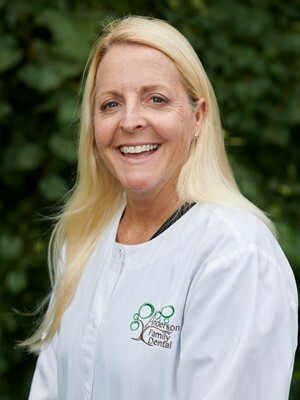 She joined our team in 2008, and she has been creating healthy, happy smiles ever since. She truly believes we have the nicest patients, and Lori takes time to get to know each of her patients in order to offer the best care. Lori studied dental hygiene at The Ohio State University. Originally from Dublin, Ohio, Lori is married to Steve, and they have two children, Chris and Cailey. Outside of work, Lori loves snow skiing, boating, going to bible study, and family dinners.